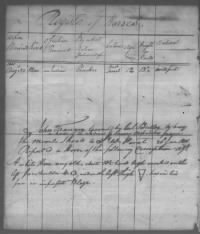 Whether tracing your heritage or learning about Native American history, original records shed new light on the people and events of the past. Over 1.5 million images available for the first time on the Internet. Treaty between the Governors of New York, Virginia, and Pennsylvania and The Five Nations, August 14, 1722. Ratified treaties that occurred between the United States government and American Indian tribes. Census rolls submitted annually by agents or superintendents of Indian reservations as required by an 1884 Act of Congress. 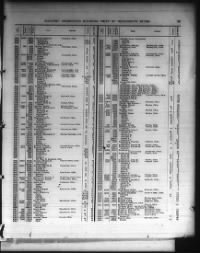 Only persons who maintained a formal affiliation with a tribe under Federal supervision are listed on these census rolls. There is not a census for every reservation or group of Indians for every year. Some tribes, particularly those in the East, were never under Federal jurisdiction and therefore not included in this publication. President Grover Cleveland appointed a commission to negotiate land with the Native American tribes in 1893. Members of the Cherokee, Creek, Choctaw, Chickasaw, and Seminole tribes were entitled to an allotment of land in return for abolishing their tribal governments and recognizing Federal law. The commission accepted applications between 1896 and 1914 from these five tribes to establish eligibility. These records have also been referred to as the "Dawes Rolls," the "Dawes Enrollment Applications," and the "Dawes Enrollment Jackets." 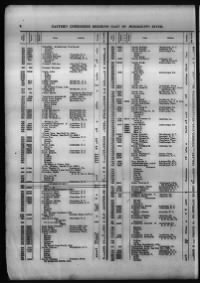 Enrollment cards, also referred to as “census cards,” were prepared by the staff of the Commission to the Five Civilized Tribes, commonly known as the Dawes Commission. 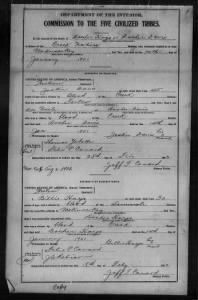 The cards record information provided by applications submitted by members of the same family group or household and include notations of the actions taken. The images within this title are applications submitted for shares of the money that was appropriated for the Eastern Cherokee Indians by Congress on June 30, 1906. 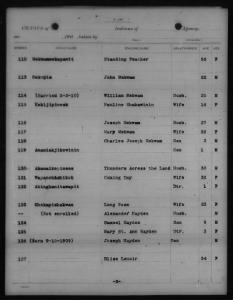 The Guion Miller Roll is perhaps the most important source for Cherokee genealogical research. 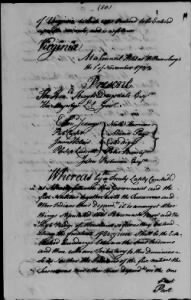 In certifying the eligibility of the Cherokees, Miller used earlier census lists and rolls that had been made of the Cherokees by Hester, Chapman, Drennen, and others between 1835 and 1884. 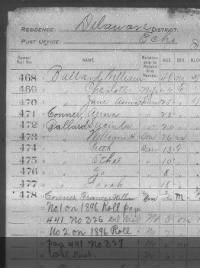 Copies of some of these rolls and the indexes to them are filed with the Guion Miller records and are part of this publication. There are an estimated 90,000 individual applicants from throughout North America included within this publication. This publication, NARA M208, includes the records of the agent of Indian Affairs in Tennessee. 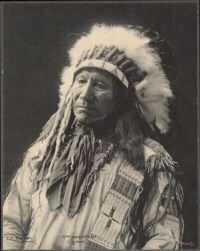 The agent’s duties included preserving or restoring peace and inducing Indians to cede their lands and move to areas less threatened by white encroachment. Frank A. Rinehart's 1898 Native American photographs, unique in their quality and dignity.